GFCI converting Kit. Stainless Steel plate to install a GFCI on a 4 inch Square Box. Bag of 1. To replace an old razor outlet. Type 430 vertical brushed stainless steel. With nickel plated brass screws. Leviton's generator inlet kit facilitates connecting a generator to your load center. It gets wired to your indoor load center and mounted to an exterior wall near where generator is running. Power cords are plugged from the generator directly to inlet, eliminating running power cords through an open window or door to the load center. All you need to quickly and safely connect a generator to your load center. The SmartlockPro Outlet Branch Circuit (OBC) AFCI Receptacle offers advanced technology to help protect against electrical fires resulting from arc-faults. Designed to detect a wide range of potentially hazardous arc-faults resulting from damage in branch circuit wiring as well as extensions to branches such as appliances and cord sets, the OBC AFCI responds by interrupting power. 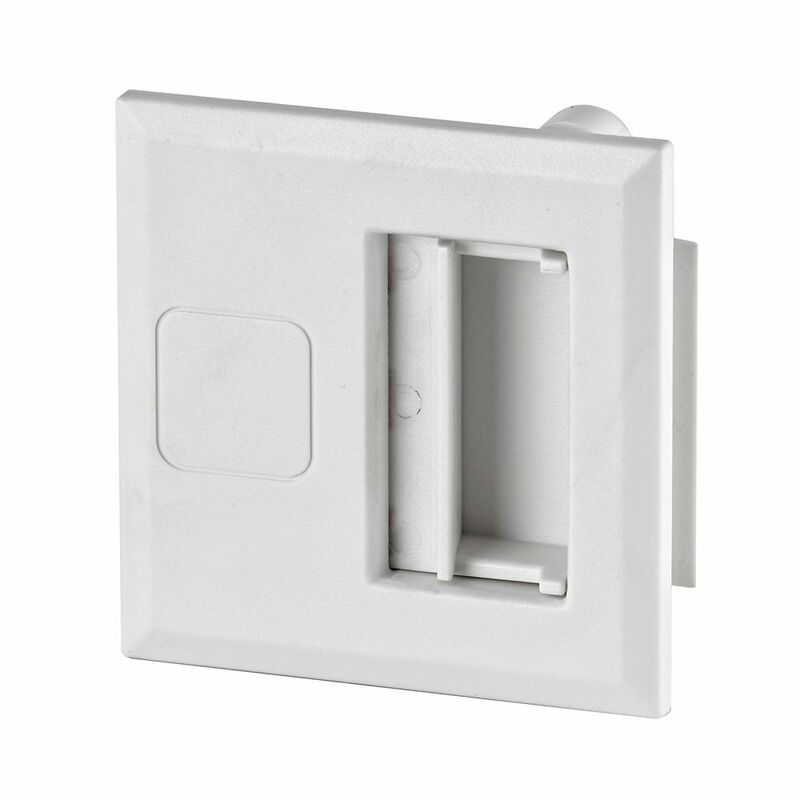 This helps reduce the likelihood of the home's electrical system being an ignition source of a fire. Often unseen, arc-faults can occur anywhere in the home's electrical system including within walls, at loose electrical connections or within electrical cords accidently damaged by impinging furniture. Door Latch Kit with Lock for Indoor Load Center Enclosures Leviton offers a full line of accessories to meet every need when installing the Leviton Load Center. Locking devices, lugs, ground and neutral bar kits, conduit hubs, sealing rings and more are all available to ensure an accurate and quick installation.